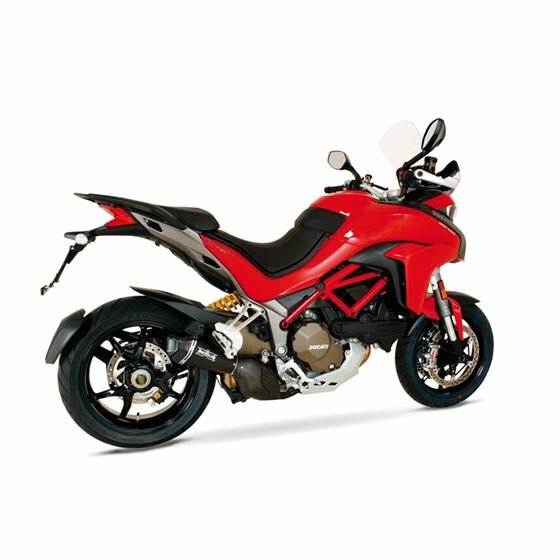 The brand new REMUS HyperCone exhaust for the Ducati Multistrada 1200 Sport 2015-on has a conical silencer body and is the natural development of their market proved REMUS HexaCone exhaust. This HypeCone Exhaust marks the upper end of the REMUS motorcycle high performance silencer line. The high points of the REMUS HyperCone exhaust are the carbon outlet cap in combination with a titanium or stainless steel sleeve, the hexagonal design of the outlet cap and the conical silencer body. This well thought out ingenious combination guarantees maximum ground clearance during cornering.